I have previously used MenScience Daily Facial Wash and Lab Series Oil Control Facial Wash, however this is by far my favourite out of the three. It lathes up really well, and I feel it has reduced, though not abolished, my breakouts. I like the fact I can actually see how much is left in the bottle! Good cooling cleanser that leaves your skin feeling clean and fresh.It's quite drying though, and thus not the right product for me. I imagine it'd be good for non-sensitive skin though. Based on all the great reviews I decided to give this a try. 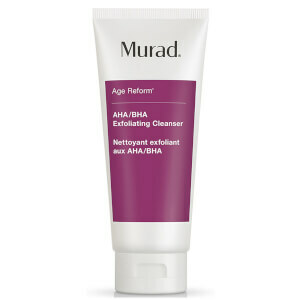 I suffer from oily, acne prone, flakey skin and unfortunately found this product slightly too drying. It also seemed to make my nose even more oilier and red. I wouldn't recommend this to people with sensitive skin that dries easily after washing. By all means give it a try because you can't knock 7 5star reviews - everyone's skin is different I guess. When looking for a face wash to combat my moderate acne I found the obvious choice to be the one with no negative reviews. Unfortunately for me this caused me to break out continuously while using it. I guess results differ from person to person. I only suffer from the occasional breakout, but thought I'd try this to see if it would keep my skin continuously clean and clear. It didn't. After using for 3 weeks it caused me to break out far more frequently, and the spots have been more stubborn my my "usual" ones. I'm guessing my skin doesn't like salicylic acid so I will be avoiding this product in future. This worked brilliantly for the first week then it caused me to break out continuously. Did not like this product at all.